Tami Simon: You're listening to "Insights at the Edge." Today, I speak with Mariana Caplan. Mariana is a counselor, professor of Jungian and transpersonal psychologies, and the author of six books in the fields of psychology and spirituality, including the highly respected book, Halfway Up the Mountain: On Premature Claims to Enlightenment. She attributes the majority of her education and inspiration to years of research and practice in the world's great mystical traditions, and to living in the villages of India, Central and South America, and Europe. 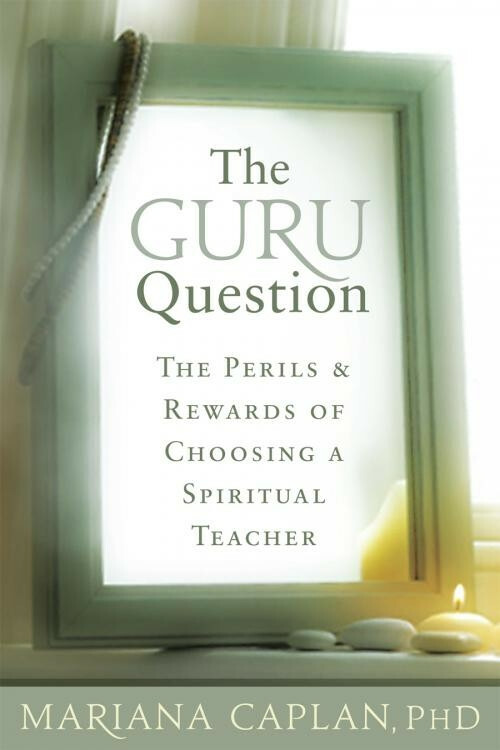 With Sounds True, Mariana has recently released the book Eyes Wide Open: Cultivating Discernment on the Spiritual Path, as well as a new book, The Guru Question: The Perils and Rewards of Choosing a Spiritual Teacher. In this episode of "Insights at the Edge," Mariana and I spoke about what to look for and what to avoid in choosing a spiritual teacher, and does everyone even need a spiritual teacher? We also spoke about the importance of tradition and lineage as a source of protection, and the entire arena of what she calls "conscious discipleship," or what it means to be a great student. Here's my conversation with Mariana Caplan. 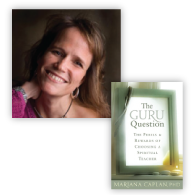 Mariana, I'm excited to talk with you about The Guru Question, your new book from Sounds True, a topic that is very dear to me, and interesting and intriguing and endlessly complex. I want to begin with a question that I'm asked over and over and over by Sounds True listeners, and I would really like to know where you land on this question. It is: People are very frequently asking, "Do I actually need a spiritual teacher-a guru, you could say-in today's world?" It's a different world than it was hundreds, thousands of years ago: there are so many books and CDs, there are so many ways to learn. Now in your book The Guru Question, you call this the "Ramana Maharshi argument." This is how you frame it, because Ramana Maharshi was a great 20th-century teacher who himself didn't have a living teacher. I think in our day, today, we could call it the "Eckhart Tolle argument." I mean, this is the argument that Sounds True listeners are making: "Eckhart Tolle seems to be a highly realized person who did not have a teacher. Why do I have to have one?" Where do you land on this question? Do I need a teacher? Mariana Caplan: Well, where I land on all questions related to this subject, or most of them, we would say, which is different from how I would have talked about this 10 years ago (and I really mean this, and I'm sure the theme will come up throughout our conversation) is that there is definitely not one thing that could be said about everybody's path, or even the vast majority of my, I guess we're going on 20 years of formal practice and research, writing in this field. If anything has shifted, it's a righteousness, even about perspective, a certainty about how each individual's spiritual life should go. I'll say more about it, but that's not just a qualifier or a platitude. It's actually how I've come to see the spiritual path. It's the most significant shift from my earlier writing, which was always accessible, but usually had a big or small axe to grind somewhat that people weren't seeing the path clearly. So, having said that, if we assume that we are going to be as much of an exception as Eckhart Tolle or Ramana Maharshi, then we might want to argue that we don't need guidance and help on the path. But that's a very dangerous thing to assume. Right? There's a lot of powerful, charismatic people with strong political views, but not that many of them get to become the president. There are passionate people who want to work for humankind, and they're brilliant, and they went to Harvard, and they're well connected, and they're still not going to become the president or even a senator. Right? So not only are there hundreds of thousands of conscious spiritual aspirants in the world, then there's the rest of humankind, who are also on a spiritual path, whether conscious or unconscious. A very select handful of those people have had spontaneous awakenings that seem to last and deepen over several decades. Who knows [how many exactly]: one in a million? So it's pretty dangerous to presume that we're going to fall into that category. You know, I spent time in Tiruvannamalai in South India when I was a young woman, in the town where Ramana Maharshi had his ashram. And there were all of these people walking around-and they're still there!-just repeating the inquiry question that Ramana Maharshi repeated, [which is] "Who am I?" and having deep insight, and equivocating this with Ramana Maharshi's state of awakening. Another surprising piece about this that people seem to forget: in the case of Ramana Maharshi, for example, he had a spontaneous awakening, and then he spent 26 years integrating it before he started to teach. So then we're back to the question: Do I need a teacher? Well, it really is going to depend on where we're starting from, a whole set of our karmic variables, a whole set of psychological development, and so, so many variables that it's going to be hard to say what, exactly, is true for anybody else. I would say that, if we aspire to deeply develop on a spiritual path, and really reach into the furthest possibilities of the development and integration of our consciousness, that without the sustained, long-term help of a very good teacher-or maybe a couple along the way-we're probably not going to find our way. We're going to need to immerse deeply in practice, in tradition, and most likely in very, very intelligent guidance along the way. TS: So it's unclear what the statistic might be. A teacher that I greatly respect, A.H. Almaas, said in an interview, "One in 10,000 people can find their way without a teacher." And there's a quote here from your book, The Guru Question, where you're quoting Robert Ennis: "The chances of someone awakening without a teacher are like the chances of someone getting pregnant without a partner. The spiritual teacher is the partner that is necessary for spiritual birth. Not too many immaculate conceptions happen." This is very, very strong language, both from Robert Ennis and from A.H. Almaas. And also in your answer here, Mariana, you used an answer like, "One in a million." We don't know the odds-I'm not trying to make this mathematical-but why is it? What is the role that the teacher plays that is so critical that it could be compared to something that is like a sexual partner for giving birth to a child? MC: Well, I think that the primary function of the spiritual teacher-or one of them, and I detail all of my reflections on this in the book, but like all of these great topics, all of the perceptions are continuing to develop-the primary function of the spiritual teacher is going to be transmission. There's a beautiful yogic saying, and it says, "Light my lamp from your lamp, oh great guru! Remove the darkness covering my heart!" As you go into these teachings, the teaching is basically that the spark of awakening-or enlightenment, or whatever we're going to call it-is fully present in every human being, but it's dormant. Basically, by putting ourselves in the presence of more awakened company, in the presence of somebody who is carrying the energy of a lineage-that in many cases, like your lineage or mine, is thousands of years old-it's simply using, it's really like taking a match onto these dried embers and lighting them. There's the fire! Right? The fire is available, but it's going to need to be not only awakened and lit, but also guided. So when we're dealing with the complexities of the soul's unfolding without guidance-it's invisible, it's imperceptible. If we didn't know better, we might even question whether it was real or not! We're dealing with the most invisible, refined, eternal, vast, specific, complex possibility for a human being, not only to awaken that fire, but to guide it as it grows and as it burns away any number of misperceptions. It just seems so natural to me. Right? Why would we just want to stumble into a field of matches and let this fire blaze all over, burning who knows what in its wake? There's the transmission and there's the guidance. There's the benefit of a lineage comprised of, usually, thousands and thousands of practitioners who have been doing practice and contributing to that, and learning from it and learning from the errors of practice. I just couldn't imagine-particularly as a young seeker, new to the path, with deep aspirations-not choosing to benefit from wise company and guidance, unless there was just none available. And now, as you mentioned, we live in the world of Sounds True! Almost anywhere, somebody can at least gain access to the guidance of the people that come before them. TS: You know, I can definitely imagine someone listening who says, "I'm all in favor of wise company and guidance, but I don't really want to enter a formal teacher-student relationship. I like reading these books. That's guidance. That's important, wise counsel. I can even receive transmission from the lectures that I go to with various teachers. I'm in the field, but I don't want to formalize that relationship in any way, and call someone my capital T teacher." MC: Yes. Yes, I can understand that, honestly. And for the people listening to or benefitting from a podcast like this, or the books, I don't actually think that somebody necessarily needs to, or should. We're talking about: Why would somebody want to do that? So I think that there's great people-most of my friends, I would say, that I choose to spend my life with in the very conscious community that I live in-who have never chosen to take on a spiritual teacher. They study and they practice ethical living and teach their children well, and honestly I have full respect for that. Some people feel the need to pursue their soul's development with another level of vigor. They want to give their life to it! They want it to be the central possibility of their incarnation, of their life, and they're taking it really seriously! In order to optimize that possibility, there's probably going to be some periods-meaning who knows, 10 years, 20 years, 5 years, maybe, but probably more-of much deeper guidance and immersion. One of my spiritual friends and just beloved brothers and mentors over the years is Llewellyn Vaughan-Lee, the Sufi master. I remember, in a teaching he did many years ago, he was talking about-I think it was the 12 levels of initiation on the spiritual path. Maybe it was 13. He was talking about how, for the first several levels of initiation, you can actually do it on your own. And [then] there's a certain point where you'll want to keep going into much greater depth. At that point, we need the help of a teacher. But again, Tami, if we make it really current, I think both you and I agree that we are in a changing world! We're in a changing world, and all of these questions are ever new! TS: Yes, I appreciate that, and I appreciate your openness, even, in having the dialogue. I mean, you began by saying that you weren't going to invest in any one sole perspective for all time. MC: But I mean I might really see this differently in a year! That's the development of my path. For the first 10 or 12 years, I didn't really see it that differently, and then at a certain point in my development, it really opened up, much to the criticism of many of the people that I lived in spiritual community with. I not only believe my perspective may be different in five years, but I hope it will be! I hope I keep learning, and I hope to continue to have the good fortune. Because of what I write, you know, in my work I receive the chance to counsel and guide countless practitioners, and you really do hear more stories and more perspectives, and I want to be grown by that. I want, if our world is evolving, which we seem to be thinking that it is, I want to be open to that and moved by that and serving that. So, in a book like The Guru Question or Eyes Wide Open last year, I want to passionately and clearly articulate the terrain and the questions and the potholes of the questions, and the unconscious parts of the questions, so that people can take those questions for themselves and live into really, really effective responses in their lives. I'm really satisfied with that function, and privileged to do that work, and more interested in doing that than being a spiritual teacher. I don't know. It's just how I feel. MC: So I love the questions, and I actually-somehow I was asked to do a blog this morning for Integral, and they hadn't asked me to do anything, and I was thinking, "Oh, what will I do?" And I was lying in bed, nursing my baby, and I was thinking that, when I was-it was in my junior year in college. I went to live in the woods to learn to live deliberately and get three credits for it, you know, with this Emerson/Thoreau course. We engaged in this activity called "marsh mucking," and the actual activity was that we went, with these really tall boots up to our thighs, and we walked into a mucky, muddy swamp and explored. I was thinking about that this morning, because for me that's the territory that I work in, in spiritual life. I find it so inspiring, because that's where most of us live! That's where most of us live, yes. TS: Mm-hmm. Now, Mariana, let's say someone's listening, and they're somebody who has not yet been attracted to or met or decided on a spiritual teacher, but there's something in them that feels fluttery when you say you're really interested in going deeper, a really rigorous part, making spirituality the center of your life. They're thinking to themselves, "You know, perhaps maybe I do need a teacher. Maybe I need to get over whatever my judgments and fears and concerns are, etc., etc." So to begin with, in terms of addressing this person, what would you say are the most important qualities that they can look for, and then also be sure to avoid in this quest for a spiritual teacher? MC: Mm-hmm. In order to answer that, I'll place myself in those shoes today. Probably the first thing that I would look for is somebody who was connected to a tradition. I know that not everybody agrees on that, but I would want the protection of a tradition and a lineage, so at least that my teacher had a connection that was hopefully healthy, and not estranged from her or his teacher. Ideally there is some connection to a lineage, whether it was a formal lineage like Tibetan Buddhism, or Sufism, or the yogic path, or Judaism, or Christianity, or maybe it's even a more contemporary tradition, like you mentioned Almaas's work. I have tremendous respect for him, who also had a teacher. So I would want the protection of a lineage. I'd be very interested in the teacher's track record. TS: Now let's just pause, just unpack this a little bit. When you say "the protection of a lineage," and you're using this word "protection," how do you think a lineage provides protection? MC: I think a lineage provides protection both because we're not trying to recreate the wheel in 2010, you know, or if the teacher's been enlightened for three years since 2008. People have been doing this for a long time! I mean, these are experiments that may need to be modernized and integrated into a contemporary world, but people have been working with the methods and the practices of the soul development for a long, long time. And I would want the benefit, whether it's 200 or 1,000 or 3,000 years of refinement of practice on the one hand, and also that my teacher had also been benefitted by rigorous guidance, feedback and input from her or his teacher, and most likely a community of practitioners. I think that there's the whole system, right? You and I were talking about this recently, when we were dialoguing about the guru in Shingon Dharma, or some form of teacher and teachings and community. Whether we're in Buddhism or Judaism or Christianity, we keep seeing that actually, that system of checks and balances is put in place in all of the great traditions for a reason. You have a body of teachings, and you have a teacher, and you have a community of practitioners, and there's a lot of protection from, "Oh, this is the new, great, evolutionary dharma, and I am the new, great, evolutionary leader!" You know? "Come with me to the edge of consciousness!" There's a lot of protection by the community of practitioners, so that when we veer and get lost, there's protection from the teachings. Again, they're so deeply intertwined. So I would want that support and protection and backing. TS: OK. So that's the first thing you would recommend to a seeker seeking a teacher. Let's keep going. MC: I'd be interested in the teacher's track record. Again, none of these are absolute, right, because if Ramana Maharshi popped up today in Fairfax, California, and wasn't based in a lineage, and I met him and felt what I felt, I might actually just choose to jump on the bandwagon. It's not an absolute criterion, but generally. Also, I would be interested in the teacher's track record. I would like to find myself in the company of a teacher, not who hadn't made mistakes, but who had been teaching reliably for a significant period of time, and who had demonstrated, through the student body, the capacity to grow strong, aware, responsible, reliable, radiant, integrated students. So I would be looking at a track record, and one of the ways that you look at a teacher's track record is to look at their long-term students. The distinction there is that you're not necessarily looking at the loudest students or the most charismatic students. Right? Those are often the front men, the front women. They're the newest people, and they're championing the path, and they're really out there and rushing out to meet you. But you look around and you find who's been around for 10 years, 20 years. Survey the teacher's body of students who have been around for a long time, and say to yourself, "If I'm around this teacher for the next 10 or 20 years, would I myself wish to emulate some of the qualities that these long-term students have?" It's a very real criterion, because I've met a lot of teachers over the years where initially I was very attracted by the teacher's shakti or transmission or charisma, or the excitement of their teachings. And then [I would] look around at the student body and think, "Wow, I don't want to be like that! I don't want to be some nondual space cadet, walking around saying like 'Who's the me that's having the podcast with you?' and then screwing up my relationship and saying 'There's no path' and 'Psychology is relative.' I don't want to be like that!" And even as a young woman, even though I didn't have the words or the distinctions, as you said to me recently, I think we can trust ourselves to some degree, especially when we know the questions. So you want to look at the teacher's body of students and assume, although we're all very unique in our paths, that this is generally the flavor of this teacher's body of students. For example, in the lineage that you practice in, people will say whatever they'll say about Chgyam Trungpa Rinpoche, but look at his flowers! I mean, I think Chgyam Trungpa Rinpoche was amazing, but look at the flowers that were grown! You know, the first generation, with Reggie and Judy and Pema Chdrn and the whole gang, and now your generation? How beautiful! That's something that interests me. That's something that I feel comfortable, when people approach me routinely and say, "Where can I go to check things out? There's so much corruption!" I say, "Go there! It's doing well over a long period of time. It doesn't have to be perfect." TS: Mm-hmm. And things that I want to be sure to avoid? 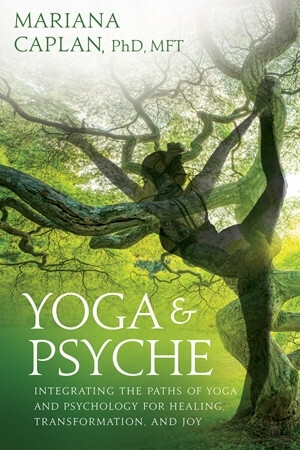 MC: I'm a pretty hard-core psychologist, and I actually believe that, in the Western world, given the Western psyche, if there's not an element that's going to support us to integrate and work with our trauma and psychological wounding, then the path is not going to probably offer me the psycho-spiritual integration that I need. At the very least, a teacher who's going to say, "Hey, I've got this mental realization. I don't really get the psychological stuff, but all of my students go do their years of therapy with this therapist who is rooted in the spiritual path." I don't really know a teacher like that, but I could get my head around that. But basically, I would avoid a path that doesn't have a space and a value to integrate the wounding trauma-trauma in a very loose sense, kind of a thing that [has] happened to all of us. And like you, I'm actually very, very passionate about the body, because I think that the integration is going to express itself through the body. I would avoid a path that is, as one of my friends, Jorge, says, "Heart chakra and above," that doesn't take on the body in some way, or doesn't recognize the importance of the body in integration. I would avoid a path where you get this impression of a sort of blind following, and following the herd of sheep. I would avoid a teacher who says, "I am fully awakened and integrated and one of the greatest teachers of our time-maybe the greatest teacher of our time! Come follow me!" TS: There probably is more to say about what to avoid, but I want to ask you a slightly different question, Mariana, because you've mentioned now a couple of times that I work with a teacher whose name is Reggie Ray, and that's in the lineage of Chgyam Trungpa Rinpoche. And interestingly, I wasn't looking for a teacher. It happened. And I know part of what you talk about in The Guru Question is that somebody could actually approach finding a teacher in a similar way to how some people approach the idea of finding a love partner or soul mate, where they make a list of all of the qualities they want or don't want, you know, "Here are the 10 things I absolutely have to have." I'm curious if finding a spiritual teacher is really anything like that, or if it's not quite a bit more, you could say, karmic or mysterious. MC: Yes. It's a great question, to which there really are many answers. Like I was talking last week at the California Institute of Integral Studies (CIIS) with Roger Walsh and Frances Vaughan, and somebody said to Roger, "Do you believe in destiny?" He answered very beautifully, and it was to the effect of, I'm vastly paraphrasing, "Yes, I believe in destiny, and we must live as if we had full free will." So, with this question I think that probably, ultimately, the teacher or teachers that we're going to end up with in our lives are going to be the result of karma in a real way. So almost no matter what you do or don't do, if you have a strong enough link with that teacher, you will find each other. The teachers that we end up with, and how we often found them, is extraordinary. Right? My teacher's ashram was in Arizona, and I met him in a little town in South India. If I had been traveling in that town three days earlier or one week later, my entire life and work and world wouldn't have been shifted in that way. Having said that, when you talk about a list, I was sitting there before I met my teacher, I was sitting there up north in Rishikesh as a 25-year-old, young woman, doing pranayama at four o'clock in the morning, and I made lists. I would literally write out, like the dating list, like "What you want in a man," "What you want in a woman," "What you want . . ." and based on my disappointing experiences with teachers, I was literally making lists. And I'd go to the Ganges River, and then I'd float them away and make a prayer, and then I'd make another list, and I'd make another list. In fact, my teacher ended up corresponding with most of the elements on that list. But again, the question is very beautiful, and it's a deep weave. I wouldn't have come up with that list if the karma of my life hadn't brought me to all of these neurotic shamans, and disappointing Buddhists, and this and that. It was the result of my karma interacting with my intelligence and my longing and my efforts that brought me to my teacher. Having said that, one of my close friends in the spiritual community that I was raised in, she, like many others, went following love. Her partner was a student, and they met somewhere else, and that person said, "I'm not budging." So she went following love, and ended up in a lifelong relationship with her spiritual teacher. It didn't spark right away, and she didn't want to be there. Eventually, over time, the relationship built. And many other people are really just going about their business, and somebody drags them to whatever talk or whatever retreat. Or they're in some kind of breakdown, and somebody says, "Hey! Come with me for the day!" And they say, "OK. I've got nothing else to do. My life is so lame. I've got nothing left to live for." And they go, and they end up in the company of their teacher. So that's a really tricky one. You know, people throw around that famous phrase, "When the student is ready, the teacher will appear," and I've come to think of that-it's thrown around so often, and I've come to find it quite useless, because what does that really mean? We can be deeply matured, ready human beings, and it is our karmic destiny such that we actually don't need or aren't going to find ourselves in the company of a teacher for the next 10 years. Or we can be ready for the teacher, but they're not actually going to arrive at our house. We're going to be ready, and that readiness is going to take us on a very intelligent, calculated, focused search through various spiritual teachers and communities until we find the right person. It could mean so many things! TS: I guess one of the concerns I have about somebody who is perhaps interested in finding a spiritual teacher making a list and setting out on such a quest is that they feel somehow in charge of this process, and they might miss something that's happening that's quite magical, that looks nothing like what's on their list. It just looks very different, surprises them, but they're so busy looking at their list. Do you know what I'm saying? MC: I know what you're saying, but isn't that just how the process of life goes? I mean, how many people have a love story in their life where there was this amazing person right in front of them all along, but they were obsessed with this other person and didn't see it, and by the time they saw it, either they came back or it was too late? I hear that, and don't feel worried in that way. I mean, that would be part of the process of discernment. Here you are, looking for your list-a common example is, "I want a woman teacher." A lot of women want a woman teacher, and there's more male teachers around. That would be a common example, where they might come across a really great male teacher, but they're set on finding a female teacher. So maybe they go through a few more teachers, and a few more years, and they try out this witch community and this goddess community. And as they're doing that, and as it's not quite landing, they become aware of this other teacher that they met earlier in their quest, and they go back. On a lifelong spiritual path, two years here, five years there-hopefully we get to live long, healthy lives!-that seems part and parcel to the path. Another example is Yogi Ramsuratkumar: That was my teacher's teacher, this great saint in Southern India. Of all of the people I've met, interviewed, spent time with, he was the greatest person I have ever known. He formally took Sannyasa, took renunciation vows, when he was 30. I think this was back in maybe 1920s, maybe 1930s? And he went on a big quest throughout India to find his teacher. So he went down south while Sri Aurobindo was still alive, and he met Sri Aurobindo, and then he met Ramana Maharshi, and then he met Swami Papa Ramdas-the three great giants in Southern India. He didn't feel like he had found his teacher. He went back up north, to the Himalayas, for seven years. He did practice and wandering, came back down south seven years later, realized that Swami Papa Ramdas was, and had in fact been, his guru. And within a week had his awakening, and deepened that awakening for the next 50 years, or 40 years. You know, it's like, if the matter is karmic, then we have to make a little more space around it. TS: Now, interestingly, a couple of times in our conversation, there's been an analogy between the relationship between lovers, and finding a lover or a soul mate, and the teacher-student relationship. I'm curious what you think about that as an analogy. Does it hold water? MC: I know that, in talking about this subject over many years, I often find myself going back to that analogy. So as you ask me that question, it's not the same, but I think that there's-everybody can relate to the experience of, well, almost everybody can relate to the experience of looking for a beloved in terms of the personal or human other. And I think that there's enough elements that are similar in terms of longing, discernment, disappointment, getting attracted by big energies, and then discovering that we actually weren't necessarily having a grounded approach and seeing the whole person. It's not the same, but I think, in the essence of "As below, so above, and as above, so below," that actually there are great parallels, as long as we understand that one is more focused on the human level, and one is a question of the soul. What do you think? TS: I think there are a lot of parallels. When you said that last part about the human level and the question of the soul, I had a pause, because I think that, in the lover relationship, the soul can also be front and center. It's not just human; it's also a soul development and transformation. TS: Now Mariana, there's so much we could talk about, about the teacher, but I want to make the move here in our conversation that you make in the book, The Guru Question, which I think is absolutely brilliant. You turn the question around to "What makes a great student?" and not so much "What makes a great teacher?" You call this "conscious discipleship." I love this phrase, and I love the part of the book where you really redirect the seeker, and say, "What about you? What are the criteria for being a great student?" I'm going to read these off to you, but have you comment on them, if that's OK, because I thought each one of these was absolutely helpful and brilliant for people. The cover of the book is actually a mirror, where we're looking in a mirror. And I think this is the moment in the book where people really do look in the mirror, these criteria for conscious discipleship. So the first question is: "Am I willing to commit?" Talk a little bit about that. What kind of commitment do you think is necessary for conscious discipleship? MC: OK. And before I comment on that criterion, I just want to thank you for making that move in our conversation. MC: When you say that, I don't know about you, but something in me just drops down. I'm relieved all over again, and I imagine that there's a number of people who are listening to us, and hopefully reading the book, and also a bit daunted at first, but I'm so relieved! Right? Like what about us? We can talk about these gurus, and their strengths and weaknesses, and all the problems until the end of the day, and it's still going to come back to us. It's such a relief. At first it might be horrifying-well, I don't know about horrifying, but [you might be] resisting, like "No! No! No!" and then "Ah!" MC: It's like a moment in psychotherapy when it's like, "Oh! But what about you! Life is going to keep happening and doing what it's going to do, but the common element is you. What are you going to do about this?" So having said that, "Am I willing to commit?" is a great question. As my example, I'll take you, if I can, because our dialogue is still fresh and recent. And you talked about having developed this whole company, and already putting out books, and speaking and being a leader, and realizing-oh, X amount of years into it, I can't remember what you said, 10, 15 years into it-that you hadn't actually committed to a spiritual path. Wow! Right? It's really going to require a commitment, and it's going to require a commitment because it's going to be a bumpy road, and there's going to be disillusionments as well as breakthroughs, and we're going to have to be willing to get into the muck and try to walk to the other side of the swamp, and not just back out when things get a little bit difficult. A commitment is a requisite. The opposite polarity would be just somebody who says, "No, I'll just, well . . ." The opposite would be just the endless spiritual shopping spree as a lifestyle. And if we take the value judgment out of it, it can be a really interesting lifestyle! You may have a good life, and you're satisfied with the way it is, and you want to benefit by gems of spiritual teachings along the way. But in terms of "Am I willing to commit?" Yes, that's a really clear criterion. TS: OK. Another question here for people to ask themselves if they want to be on the path of conscious discipleship: "Am I willing to overcome my childishness?" I think you mean this particularly in relationship to a teacher, and I'm wondering if you could talk about that. I think it's a really important point, this overcoming of our childishness in relationship to teachers. MC: Yes, and I think the key word in that question is, "Am I willing to . . ." The willing, because for many people, overcoming our childishness in relationship to the teacher is a very, very, very long process. The willingness is actually what's going to carry us through that. So the last chapter of Eyes Wide Open, the last book that I did with Sounds True, was called, "Om Mane Padme Grow Up," the mantra being, "Am I willing to grow up and be an adult in relationship to my teacher?" This question is maybe one of the largest of the list that you're going to read, because it encompasses the whole area of our psychology. It encompasses the reality that often, our attraction to a spiritual teacher is a combination of essence recognition and unmet childhood needs. It's a recognition that it's very easy, when we join a spiritual community, to fall into family patterns of being whatever kind of child we were in relationship to our parents-even the rebellious, "I'm not going to listen to you!" independent child-to fall into all kinds of traps of wanting to please the teacher, get close to them, get our romantic love needs met by them, get soothed by them, run just all kinds of childish dynamics in relationship to the teacher and to the community. And particularly, given that the teacher may have some of those unconscious processes going on, there's all the more reason why we have to come as an adult. I remember, when I met my teacher, I was 25, and I felt very young. And I felt all of those things, like, "Oh, my God! I finally am home, and I'm going to be protected! Somebody sees my deep desire!" And before I was even a student, he said, "Look! If you're going to be my student, I need to relate to an adult! I need an adult woman to be in relationship with me. I don't want any of these childish antics. I'm not going to fulfill them!" I felt like I was barely done being a child, and I was already being called to grow up. But the growing-up process in relationship to a teacher, again, is a long process, and it often has very many stages. So I've also seen that there is often an inevitable stage of the falling in love, and in that falling in love is a combination of essence connection and projection, and there's something very valuable about that stage. After that stage, there's probably going to be a fall from grace, and a disillusionment. And after that, some kind of integration and growing up. That's why I said, in relationship to the question, "Am I willing to," if I come to the teacher and say, "Yes, I'm willing to," then what may happen after that is an inevitable process of projection and disillusionment and higher integration, and maybe several spirals in that process as we eventually grow up and mature and become independent on the path. It's such hard work! [Laughs] I'm tired just listening to it! TS: What do you think might be some concrete tips for people to help them overcome their childishness? I mean, how does someone become aware, "Oh, I'm asking this person to be Mom or Dad, instead of seeing them as a human teacher"? What are some of the moments of potential wakefulness that could occur, that would help someone see their childishness in this relationship with the teacher? MC: That's a great question. I think first, basically, to assume that that's what we are doing initially. That would be, for me, a pointing-out instruction, to assume that I am doing that, to assume that, initially, when I am encountering my teacher, that there is some level of strong projection, psychological projection, going on. It would be easy for many people to say, "No! That's not true, because I'm not just following them, and I'm not in love with them." But as I pointed out earlier, I was a rebel growing up, so it's very natural to be in a rebellious relationship with my teacher while still being engulfed in the projections. So one would be to assume that it is happening, and from there, to really start digging and chipping away at that. Another would be, when we have the feeling that we've found the perfect teacher, and this teacher sees all of me, and I'm finally protected, and you know, the journey is complete-the big, big feelings that might be paralleled, again, in a love relationship, the idealization and even kind of obsession. Right? I had some clients come in just before I had my baby, and they were having this spiritual relationship, and the guy was saying to me, "We're ready to go out and start teaching Tantra! This is so amazing! We're going to be cruising on this!" Like, "This is never going to end!" [Laughs] And to look at them, she's freaking out because of the degree of projection! And I said, "No, actually it is going to end in this form, probably sooner than you would expect!" So when we find ourselves swept up, again, it can be lovely, but it would be another pointing-out instruction. And I think, as we start to interact with the community, it's a time to look out for when we're falling into a very familial-familiar and familial-structures of our family, whether we're getting some power and authority in the community, whether we're feeling like a victim, whether we're feeling not good enough, whether we're having some competition with our brothers and sisters for position. Anyone who's been in a community for a long time will recognize this. This is not theory. I mean, all of the examples I gave you just now? I experienced all of them! MC: And I wasn't doing anything wrong! I was just working through the aspect of the relationship with the spiritual teacher and community that is the psychological labyrinth. One could argue that that's actually one of the functions and values of being with a teacher and a community, because it will reveal all of that. It will make the space for all of that, and that the working through of all of that is the transformation itself. It's not the obstacle that we hit before the transformation, but in coming to the teacher and perceiving wholeness and truth and transmission, we're then given the whole labyrinth of the psyche, of our karma as manifest through our psyche in this lifetime, to start working it out. That's fruition, rather than an obstacle, but it would only be fruition if we're engaging in it as consciously as we possibly, possibly can. Does that make sense? TS: Yes. It makes perfect sense. It's the journey, the journey through our childishness and our projections, that's part of why we work with a teacher. It's so it all comes up, and in a community, as you say, but we take responsibility for it as our material. I think that's really the key for conscious discipleship, this self-responsibility that you're putting onto the student, which is what I love so much. You offer several other criteria, but I'm just going to come to the last one here, and ask you to comment on it. It is asking ourselves this question: "Am I ready for the responsibility of conscious discipleship?" What is the responsibility of a "conscious disciple"? MC: Well, one of the responsibilities of a conscious disciple is to represent the path that they're a part of. I'm not talking about becoming a teacher, or even serving in a teaching function. Everybody who is practicing in a path and tradition is representing that teaching and the path for the world, they're mediating it for the world, and they're doing it effectively or less effectively. I think that's one of the primary responsibilities of the conscious disciple. You're taking the whole lineage or the teachings in your hands and your body, and you're saying that "My embrace of this, and how I'm going to let it work through me and come out of me in the expression of who I am and the service that I'm offering to the world on any level-whether I'm serving through working at the grocery store, or through mothering my child, or through school teaching-on any level, that I'm actually holding the path in my hands and expressing it." Through our expression, we are creating spiritual culture in our times. We're it! So how we're integrating and expressing, and what we're doing with that, in many ways, is the future of humanity at this point. It's a huge responsibility! We're making our lives about accessing the greatest transformational technologies, and as we mature on the path, expressing them and offering them out. We're living in a time where almost nobody denies the intensity and critical nature of our moment in humanity, so what are doing with it, right? We're not just doing spiritual life for ourselves anymore, to feel better and to have experiences. We must do it for the sake of the collective, and the healing of humanity, so we're going to want to be doing it well and avoiding the pitfalls and obstacles to the best degree that we can, as efficiently as possible. That's what I want to do in my books, is offer any guidance. And it's usually guidance earned by making all of those mistakes myself, and holding countless clients as they come, the fallen angels, with the trail of tears of what people have gone through on their path toward transformation. TS: I want to ask you one final question, Mariana, which is: I know that your teacher died before the book The Guru Question, actually came to press. I'm curious about, for you, the poignancy and significance of the timing of his passage, but also about what it's like for you now to have your teacher no longer be in physical form, and how that affects, and is affecting your relationship with him? MC: Yes. Thank you. Above all, thank you, because I just would like a chance to talk about him and honor him in this conversation, because it's the context of everything that I've written. So my teacher, Lee Lozowick, died in November, and I had been with him for 16 years, I think. This year it's 17 years. Now forgive me: as we talk about that, I just get a wonderful flood of his, and his teacher, Yogi Ramsuratkumar's, presence in the call, and a tremendous amount of gratitude. So for me, in my process with my teacher, I always knew, even from a young age, that there was going to be an individuation that needed to happen. I was always, and continue to be, very independent, and even though I lived in an ashram for six years, and gave my life over to it, I knew that I needed to think for myself and express through myself, and my teacher supported me in that. So even when I went through periods of intense what we would call "individuation," and left the ashram, or decided to go for periods without doing formal practice, and find my own way, I never wanted to leave my teacher. I had so, so much love-love and gratitude!-for my teacher, and I'm grateful, because oftentimes, when people are growing up on a spiritual path and want to find their own way, they think that they have to leave the teacher. Or people often put it that "You can have a guru, but you have to graduate," and that graduation is somehow equivocated with leaving. I understand that, because I came across a number of moments on my path where I really wanted to move from my own inner authority and live my own glory and weaknesses, and when I would arrive in these moments and feel like that would mean that I was leaving, I never wanted to leave! I loved my teacher! Why would I possibly not want to be in relationship with the most helpful, inspiring, and foundational human being that I had known in my whole adult life? For me, one of the great gifts of my whole life with Lee was that he continued to support my individuation and independence. And where I'm going with all of this is that it was such that, by the time that he died, I was living independently enough-while inspired by him and connected to the lineage-that I suffered his death and missing him, but it didn't have to do the whole individuation process that's often required when people are in a long-term relationship with a guru, and have not learned to function from their inner authority. So in many ways, it felt like a very clean process for me. My mother, for example, died when I was very young, and there were things that were incomplete, so as I experience my teacher's death, the cleanness of it and the simplicity of it, in certain ways, I see that oftentimes, when we're grieving a loss, oftentimes we're working through unfinished complexity, incomplete psychology, and I'm so grateful! I felt very full and complete in relationship to my teacher. I'm so glad and grateful to life that he died at a time when I felt like I was functioning from wholeness and independence. Therefore, as I move into my life, it's sometimes shaky, because when your teacher is no longer there, when the really big questions and really big moments arise in your life, where you really want to go to the person that you think has your back more than anyone else in the whole world, and who you ultimately trust more than anybody, they're not there, and you turn back against yourself. I've had a couple of those moments, and they've been sobering and startling and scary. Part of the passage of the teacher, in any tradition, is the disciple has to then take into themselves as much of the knowledge and the gifts as they're able to, and go forward with confidence and trust. So that's my effort. When I was much more in a different kind of attachment in relationship to my teacher, I often used to ponder, you know, "What would happen if my teacher died?" and "What teacher would I go to?" and "Who would guide me? Who would hold my hand?" And I'm in a moment-which may change in 5 or 10 years-where I don't feel that need. I want to assume-which is the last question that we talked about in the criteria-I want to assume the responsibility for being a conscious disciple, and sharing the gifts that I was given in the most effective way possible. Along the way, I have many spiritual friends, many of which are teachers and peers. It's all quite mixed in my perception. Many of my peers are teachers, and I have many spiritual friends who I'll continue to access for guidance, but as we've said from the beginning, each path is so unique, so if there's a moment that arises in my journey where I feel that I must, again, go into deeper relationship with a teacher or a tradition in order to further the next piece of my evolution and transformation, I would gladly do so. TS: Do you feel Lee's presence in a different kind of way, now that he's left his physical body? TS: That's where my question comes from, of course, yes. MC: I actually have to say no. No, that's not my experience. It's not because I don't feel his presence strongly, but I always have. I always have! It's this presence-his and Yogi Ramsuratkumar's-that is completely inseparable from my perception of life. I mean, there's not a day that goes by when they're not totally interwoven in my life, even if it doesn't emerge as a conscious thought, so it's not hugely different. I just miss him. I miss being able to go and visit him, and host him, and take the trip with him, and introduce my baby to him. I just miss him, but it's not all that different to me, energetically. You know, there was a moment-and I know we're getting to the end of our conversation, but there is a moment that I remember as we're talking-when I left the ashram for the first time-I would have these big, big departures from the ashram in my little cosmic drama! And I was off in India, traveling on my own for the first time after six years of sequestered life. I was hanging out with Israelis while I was in India, and the Israelis were always asking the hard questions, and I was always talking about my teacher. A couple of friends that I'd made along the way said, "You know, if your relationship with your teacher is really that strong, you should be able to throw the teacher out of your body and still land in yourself." So I went-I was about 30, and I went to the Ganges River in Varanasi, and I had planned this whole ritual. I went down, and did my meditation, and attempted to throw my teacher out of my body. I don't know. I was just moved to do this, and I made a big effort to do it. And nothing happened, so I collected my resources again, and I attempted to throw my teacher out of my body, and it didn't work. Then I sat there and realized that he was a part of me. We were woven. I had entered the lineage and accepted the transmission-for whatever known and unknown variables that entailed-and we were already woven. It's a great question, because many people, even in my lineage-the sangha brothers and sisters that I was raised with by my teacher-would think that I had left, or I had gone astray, because I had always done my own thing for the past several years, but Lee always knew that it wasn't true. I have always been completely interwoven with him and Yogi Ramsuratkumar. That doesn't mean that there's not huge amounts of development and integration and deepening that remain for me for the rest of my life, but besides missing him, it's- Yes. I love the question because I can share honestly with you as my friend. That's just how it is. And for me, it's somewhat seamless. MC: Except that I don't get the beautiful, wonderful company of hanging out with the greatest, most beautiful, compassionate brother/father/friend/guru that I had for all of those years. MC: And at this part of the journey, all of those questions about the projections and-they all have a higher integration. He was my guru, and he was my father, and he was my friend, and he was my beloved, even if he wasn't my lover. He was all of those things. And there were years in which that was a neurotic, undigested psychological element, but each has its higher integration, just like you were saying with a personal beloved. We're so fortunate for these teachers. We're so fortunate! Whether we choose to partake of them in a long-term relationship or not, we're so fortunate that these teachers are here with us! TS: And whether our listeners feel allergic to the idea of having a spiritual teacher, or feel inexplicably drawn, like a moth to a flame, wherever you are, I think Mariana Caplan's new book, The Guru Question: The Perils and Rewards of Choosing a Spiritual Teacher, is a mirror you can look in, a mirror that will force you to ask all kinds of questions about yourself as a person on the path, and also about the whole process of finding and then working with a spiritual teacher. 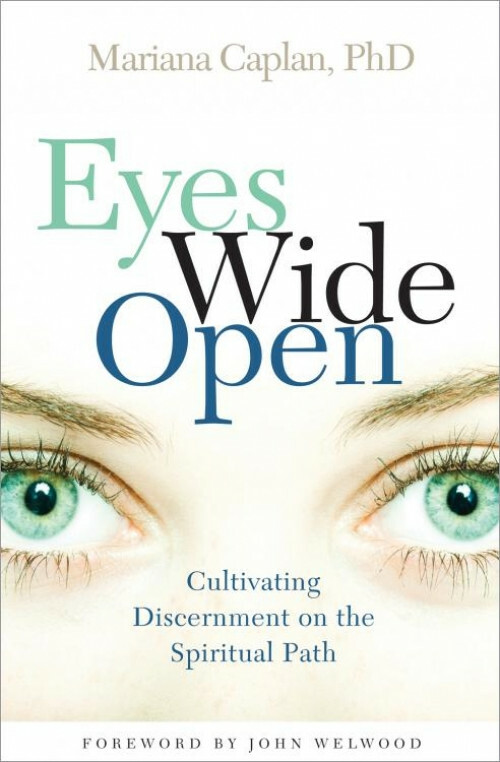 Mariana Caplan has also recently published another book with Sounds True, called Eyes Wide Open: Cultivating Discernment on the Spiritual Path. Both of these books are very valuable guides that turn you inward for your own inquiry. Mariana, as always, thank you so much for your honesty, straightforwardness, and your critical thinking! I really appreciate it. And your openness-your openness that, whatever perspectives you may have today, new ones are on their way, moment by moment, year by year. Thank you so much! MC: And thank you, Tami! As I've said always, and still continue to feel as my new perspectives arise, I will talk to you anytime. It's such a pleasure! TS: Wonderful! Soundstrue.com: many voices, one journey. Thanks for listening.